5 Reasons Why You Should Come to Lombok in 2019! I will never get bored to tell you about my lovely beautiful Island, Lombok. It is world-widely known for its uncountable destinations. Beaches, waterfalls, underwater, mountain, hills and many more. You must be wondering what is so special with Lombok? Well, here I tell you 5 Reasons Why You Should Come to Lombok in 2019! Wonderful, amazing, fabulous, mesmerizing, enchanting, hmm what else? Ideas? Yup, these expressions will you find out anytime you ask about those who have visited Lombok. Lombok offers what you never found in other places. 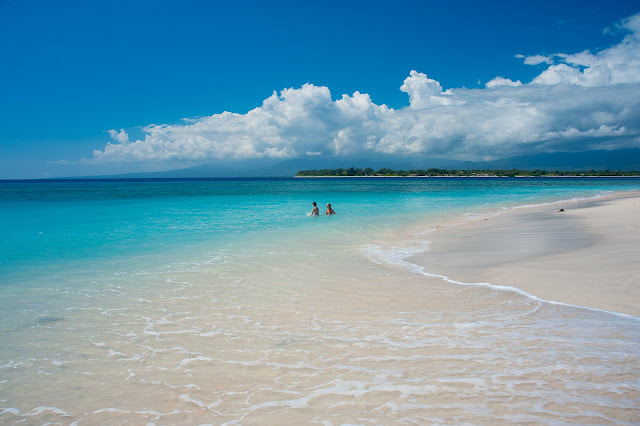 The beaches of Lombok are dominated with white and smooth. It stretches out in every corner of the island. You name it Senggigi, Gili Trawangan, Kuta, Tanjung Aan, Sekotong and thousands more. Sunset in Gili Trawangan, Lombok. The wonderful Lombok is not only can be seen in its nature, but the people are also truly respectful to the tourist and will give you pure smiles everytime you see them. Lombok is Muslim-populated island. But mostly they are moderate and neutral and they love equality and brotherhood. So, you will never be treated like strangers here. Kebun Villas and Resort Senggigi, Lombok. 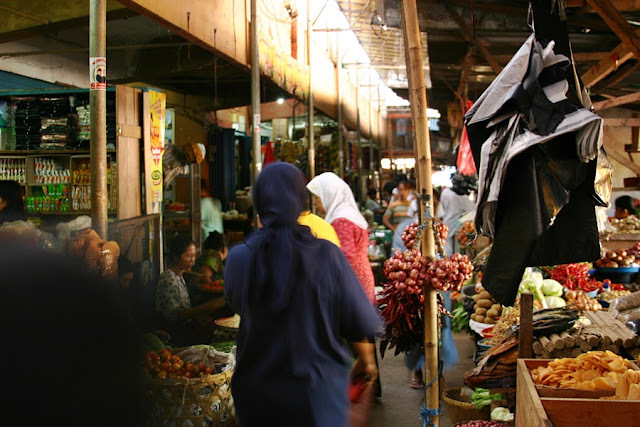 Lombok is also known for its cheap and affordable stuff. You can have your lunch with only 5 US dollars, and you get a complete meal such as rice, Pelecing, Ayam Taliwang, and fresh coconut water. Many restaurants and warongs are available throughout tourism destinations such as Senggigi and Kuta Lombok. The warongs commonly serve local foods and beers. 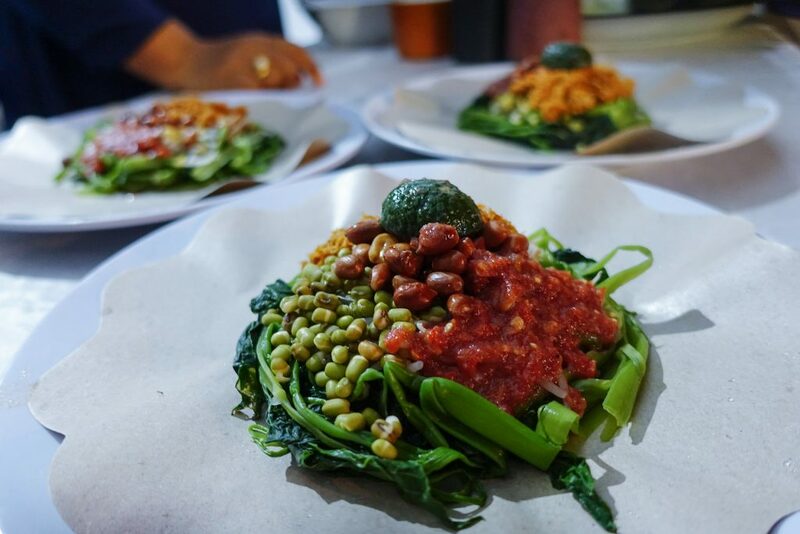 Pelecing Kangkung, Lombok's traditional food you should try! The place to stay in Lombok is very easy to find. 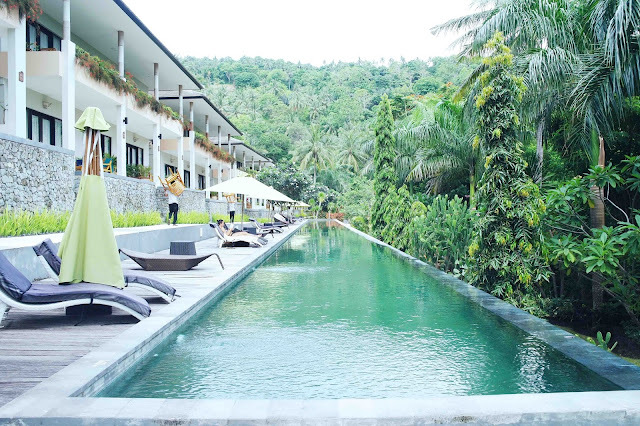 If you’re coming to Lombok as a traveler, you can get the best price start from around 20 US dollars per night, complete with the breakfast and other facilities. Senggigi, Gili Trawangan and Kuta are three main destinations in Lombok. These places provide complete facilities for travelers and tourists. Cheapest and exclusive hotels are available. Lombok International Airport, Praya, Central Lombok. Since Lombok International Airport (LIA) is officially operated in 2011, many flights routes are opened. Domestic and international routes are now available. If you want a direct route to Lombok, you can take flight via Singapore and Kuala Lumpur Malaysia. 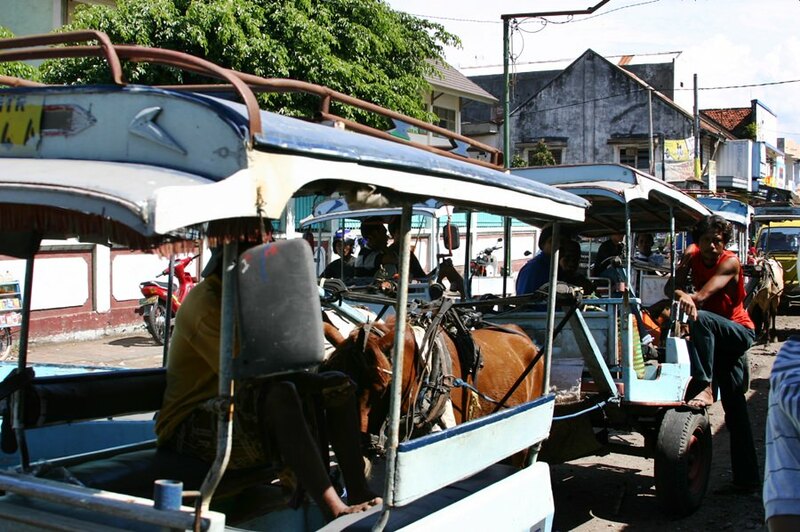 Read more about how to get to Lombok here. Lombok has plenty of destinations, beaches to the mountain. Senggigi beach is the most known as a beautiful beach with its stunning sunset view. Gili Trawangan beach is another fabulous spot to go swimming, snorkeling, and diving. While in Kuta Lombok you can challenge yourself by beating the waves in surfing activity. Mount Rinjani (3726 m), Lombok. If you get bored of those beaches, try soft-trekking in Senaru to discover the wonderful waterfalls. 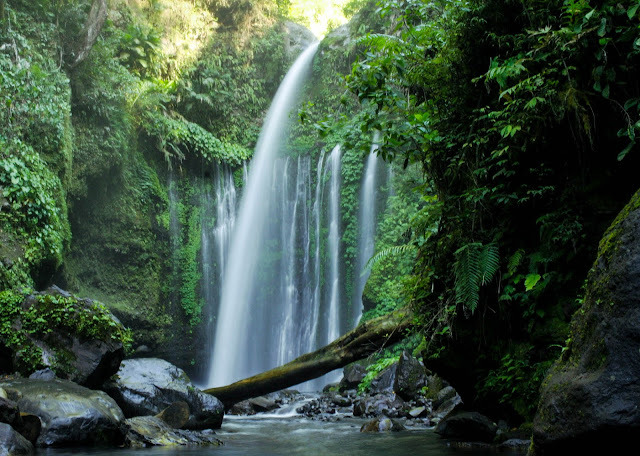 Tiu Kelep waterfall, Sendang Gile waterfall, and many other waterfalls are waiting at the end of your soft-trekking. Need more challenge? The majestic Mount Rinjani, the second tallest volcano in Indonesia is waiting! Mount Rinjani is about 3.726 meters and every year in April to August people will cover the top of this mountain. The view from the summit is cannot be described with words. Find out yourself! The most important thing you should know about Lombok is it is SAFE! Lombok is a place where you can find your home. The beauty of its nature and people are united and create such an amazing atmosphere to live in. Anywhere you go, the locals will help you to find your destinations. Lombok’s Sasak tribe is known for their culture and tradition and respectfully to tourists. The harmony emerged from people and nature will give you the best experience traveling to Lombok. 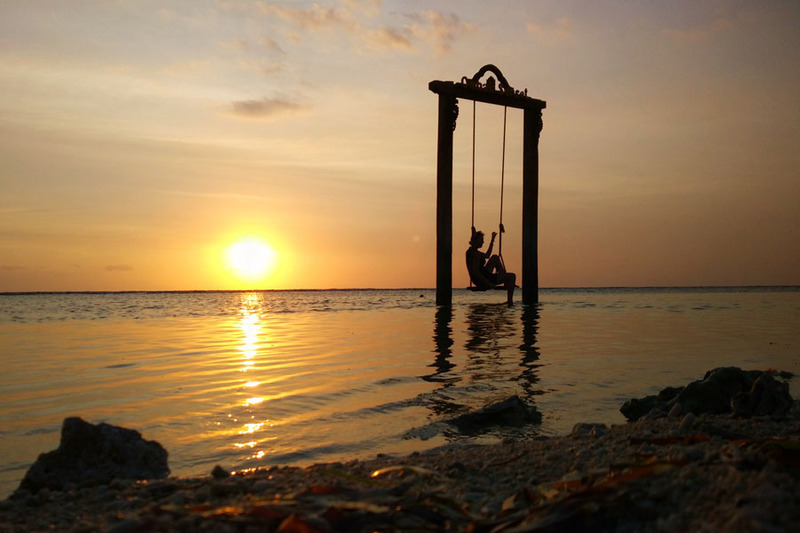 Well, these 5 Reasons Why You Should Come to Lombok in 2019 are just some of many other good things you will find in Lombok. Just pack your back and get ready to be amazed by Lombok! I’ll see you in Lombok!